What regions will get new service by June? 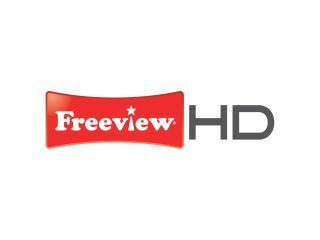 The good news about Freeview HD just keeps on coming, with confirmation arriving that more than 20 terrestrial transmitters will be beaming out high-definition free-to-air pictures in time for the 2010 World Cup. London has already joined Granada in getting Freeview HD this year, and Glasgow and Edinburgh (Black Hill), Durham and Teeside (Pontop Pike), Birmingham (Lichfield), and south Yorkshire (Emley Moor) were all scheduled for the first half of 2010. And now, other regions have been given a firm time for Freeview HD to arrive before June 11th 2010 – and the timeline is much faster than previously anticipated. West and Central Wales (Blaenplwyf transmitter), Swansea (Kilvey Hall), Cardiff and Newport (Wenvoe) and around the Winter Hill relays will all be up and running by March. In April, Carmarthenshire (Carmel), Exeter and parts of Devon (Stockland Hill), Bristol, Somerset, Dorset Wiltshire and Gloucestershire (Mendip). May sees Shetland (Bressay) and Orkney (Keelylang Hill) join the Freeview HD party and June brings North Wales (Long Mountain, Moel-y-parc, Presely), Caithness and North Sutherland (Rumster Forest). It was What Satellite that broke the news about the other transmitters, and they quote Caroline Thomson, the BBC's Chief Operating Officer. "This is a terrific step forward, and it's a great achievement that the BBC and its partners have been able to work together to overcome some really difficult technical challenges to bring HD to the Freeview platform through world-leading innovation.